Happy Hump Day! 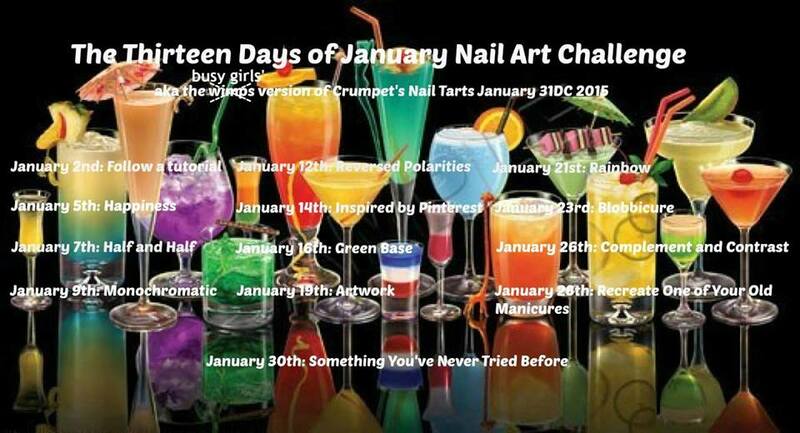 Today's prompt in the 13 Days of Nail Art Challenge is rainbow! I've been craving some neons lately so I thought I'd use one of my favorite collections and have some fun with neons! 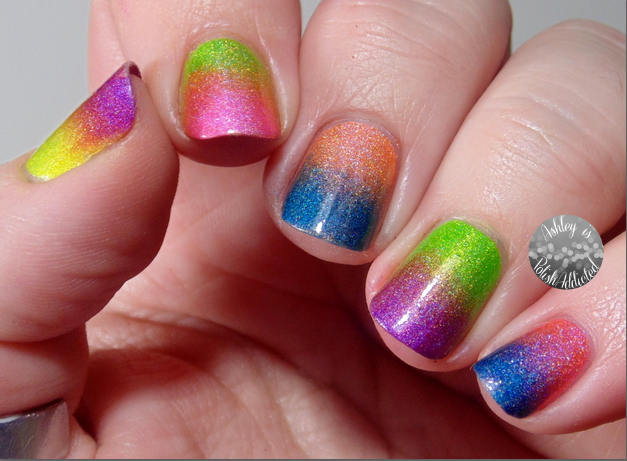 As you can see I just did a simple gradient of different colors on each finger. I was planning on taking this mani somewhere else but I ended up loving it like this so I left it. 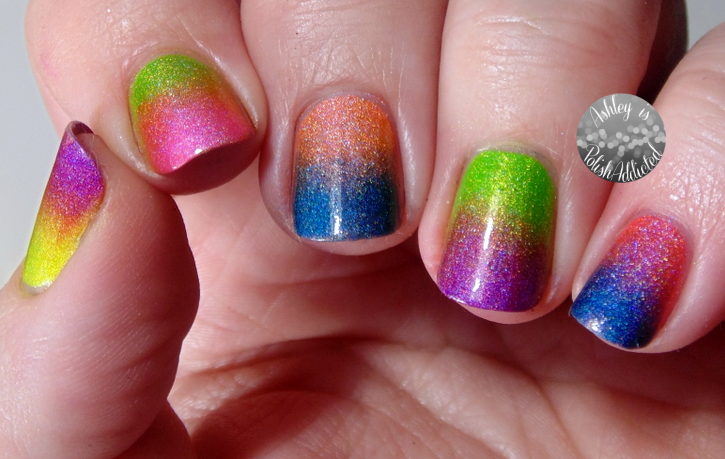 Simple, fun and definitely rainbow! 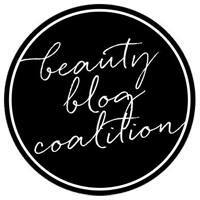 Make sure to check out all of the other awesome manis below! 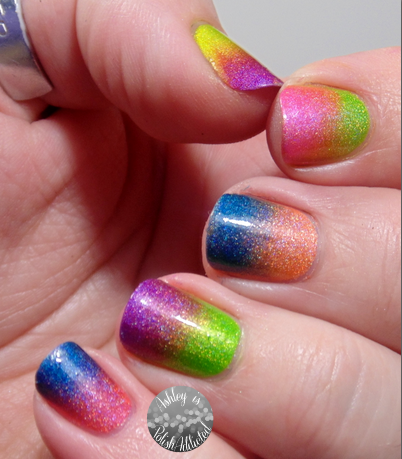 I love those polishes and your rainbows looks great!